This ruling is significant for all organizations that collect and store consumer data – and of particular interest to the 53 companies that, in the face of the FTC’s previous inquiries of their data security practices, chose to enter into consent decrees (some with onerous data monitoring provisions) rather than challenge the Commission. The LabMD ruling has potentially broad implications for companies faced with data security actions brought by the FTC. It makes clear that the bar for enforcement actions under Section 5’s unfairness prong will generally require “proof of actual consumer harm and that “[s]ubjective feelings of harm, such as embarrassment, upset or stigma, standing alone, without accompanying, clearly demonstrated tangible injury, do not constitute ‘substantial injury’” within the meaning of Section 5. And the LabMD case was far from typical, containing far more intrigue than the stuff of a routine administrative proceeding including a witness who invoked his Fifth Amendment right against self-incrimination until he was granted prosecutorial immunity and key evidence that ALJ Chappell concluded was “manipulated,” which ultimately undermined the FTC’s action. LabMD is also only one of two companies that have fought with the FTC over its jurisdiction in cybersecurity. Wyndham Worldwide Corporation has also taken on the FTC over a series of data breaches at the resort’s hotel chain. But in August, the Third Circuit Court of Appeals ruled against Wyndham and held that the FTC had broad authority to take action against private sector companies which fail to take adequate steps to protect customer data. The vast majority of companies faced with an FTC enforcement action have entered into consent decrees or settlements involving the implementation of comprehensive data security programs and monitoring for up to 20 years. The LabMD saga began in 2010 when the medical testing lab was notified that it was under investigation by the FTC for lax data security standards. LabMD, founded 20 years ago by Daugherty, served physicians and analyzed tissue samples for prostate and bladder cancer. It maintained personal information on approximately 750,000 patients. Two years earlier, however, the ALJ had found that Tiversa, Inc., a Pennsylvania-based cybersecurity firm, approached LabMD claiming it had suffered a data breach. Tiversa told LabMD that one of its insurance reports had been compromised and downloaded from a peer-to-peer file-sharing program, according to the ruling. The insurance report contained patient names, social security numbers, current procedure codes (identifies the medical procedure performed on a particular patient) and health care insurance information for more than 9,000 patients. Upon investigation, LabMD discovered that an employee had downloaded a peer-to-peer sharing program onto a company workstation to listen to music but found no evidence that any of its insurance reports had been compromised or were available on any peer-to-peer networks. The ALJ found that Tiversa then attempted to sell its data breach remediation services to LabMD and that its representations that the medical testing lab’s insurance reports had been compromised and “spread across peer-to-peer networks” were “not true.” A former Tiversa sales manager, who refused to testify at trial until he was granted immunity from prosecution, called Tiversa’s assertions the “usual sales pitch” to encourage clients to purchase its data breach remediation services. The same witness testified at the administrative trial that there was no evidence that the LabMD insurance report was ever compromised or downloaded other than by Tiversa. The second alleged data compromise took place in 2012 when LabMD documents containing sensitive personal information belonging to approximately 500 consumers were found by Sacramento police in connection with an identity theft investigation. In 2013, the FTC filed an Administrative Complaint against LabMD alleging that the medical testing lab failed to adequately protect patient health data and demanded that it institute a comprehensive data security program and submits to third-party security audits for the next 20 years. But LabMD pushed back and refused to settle with the FTC. The ensuing three years were filled with numerous discovery and sanctions motions including multiple motions to dismiss, which were denied. 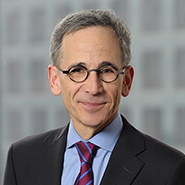 After wading through a voluminous record including more than 200 docket entries and conducting a full evidentiary hearing – including more than 1,000 exhibits, 39 witnesses, and more than 2,000 pages of trial and post-trial briefing – Judge Chappell concluded that the FTC failed to show any proof whatsoever of actual consumer injury. In fact, he outright rejected the FTC’s theory that a statistical or hypothetical risk of future harm was enough to find LabMD liable for unfair conduct under Section 5 of the FTC Act. We will continue to report on the implications of the LabMD ruling. The Initial Decision is not final and is subject to appeal, in the first instance, to the full Commission. The opinion also questions the FTC’s practice of commencing enforcement actions based solely on lax security without evidence of likely consumer harm. This could embolden companies under the Commission’s watch to take a tougher stance when faced with an FTC enforcement action. The case also raises problematic issues as to the reliability of third-party evidence used by the FTC given the blunt criticism by the Commission’s Chief ALJ.